I have been making recipes from your sichuan cookery book, and have been using Chuan Lao Hui Pixian Douban. I have just moved in with my brother, who unfortunately reacts badly to wheat – last time he had too much skin started peeling off inside his mouth, not much fun. I really want to cook some of the recipes for him, but with the large volumes of paste needed in some recipes, I am reluctant to do so. I notice that you say wheat is often part of the recipe – do you know of any brands that are fairly authentic but don’t have wheat? I’m afraid I don’t know specifically of any wheat-free brands – the above post was simply based on those available in London’s Chinatown. I suggest that you just survey your local Chinese groceries. The other thing worth mentioning is that the quantities of wheat involved will be tiny, since the main ingredients are chillies and beans – perhaps you can ask how sensitive your brother is to it? It may be that the minute amounts involved won’t be a problem (would the fact that the wheat is fermented make it more tolerable, anyway?). Good luck anyway, I hope you find a solution! 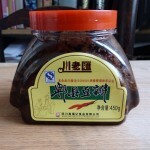 This blog has a few posts on how to make Sichuan chili bean paste at home: http://www.jingshadoujiang.com/default.asp. Google translate seems to do a decent job. By the way, so far I have only been able to find the Lee Kum Kee brand here in Copenhagen. Peter – I’d be interested to see this article as I am just about to sow some Facing Heaven Chili seeds. Fuchsia says they paste is made with another type of chili which I can find no reference to anywhere. Maybe the Facing Heavens would work just as well. However your link is faulty when I click on it. Could you re-port. Warning: I do not read chinese, and I have no idea whether these instructions are precise enough to be useful, but it looks interesting. Thanks Peter. I will see if I can have a friend translate it and possibly post. 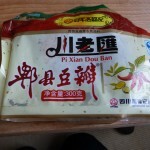 I bought Pixian Douban made by Sichuan Pixian Douban Co. Ltd. at “99 Ranch Market” in Kent-Washington. Tony – The Pixian Doubanjiang flavour is very good but it seems to be overly salty. I have to eliminate any call for salt in recipes when I use it. Brad in Hawaii… in which Asian market are you able to buy Pixian Douban? Hi All, i’m having great difficulty finding sweet bean paste – are there any alternatives that can be used, or perhaps, are there any pictures of what i should be looking for? Glad you brought that up. What is the difference between sweet bean paste and sweet wheaten paste? I think hoisin is a sub for one of them but I’m not certain. Maybe Fuchsia willjump in. Here in Stockholm, Sweden, there is a shop called Huaxia that stocks almost exclusively Chinese food. 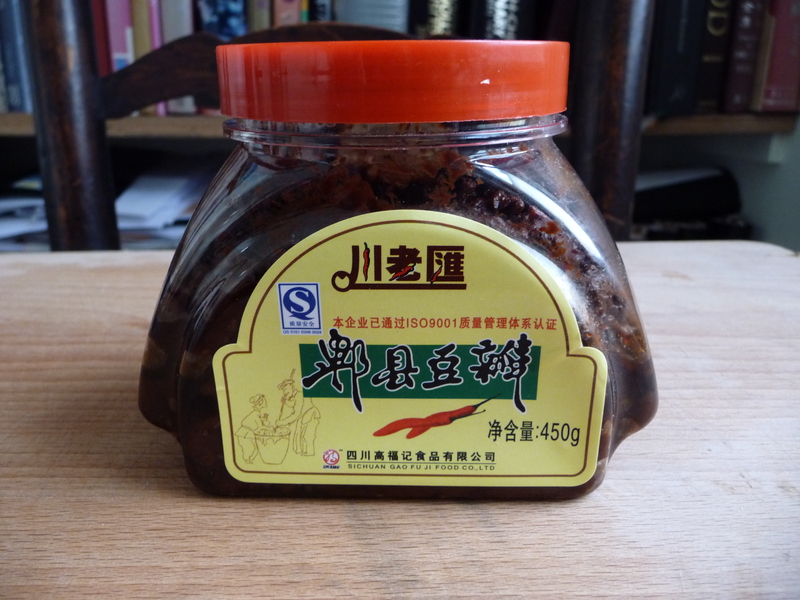 They regularly stock a chili bean paste from “Sichuan Pixian Douban Co., Ltd”. Sometimes they also have garlic stems in stock. Dan Dan Brand can be found at 99 ranch markets in California, Nevada and Texas. Dan dan is OK, Qiao Niang Fang is also OK, but the real, original one which has been around since Kangxi is called 鵑城牌 (Juan Cheng Pai). I can find it at least in 金門超市 near Boston, I am surprised if Ranch 99 does not carry it. Note the difference between those that have 紅油 (chilli oil) and those which don’t, for the ones that don’t you have to add your own to the recipe. What about black bean sauce Laoganma? I think there’s the wrong bean inside? Couldn’t find another one and from Lee Kum Kee they had everything else expect of the chili bean sauce. No, laoganma, though useful and delicious, is not the same as Sichuan chilli bean paste – it’s made with fermented soybeans and chilli oil rather than broad beans and pickled chillies. The Lee Kum Kee one is normally easy to find – you must just have been unlucky that day. One thing I’ve noticed is that the doubanjiang packaged in flat pouches seems to be more likely to be free of preservatives and added flavor enhancers. Perhaps it’s because people tend to open jars and reuse them for a long period of time. In the stores near me, the pouches aren’t always kept in the same place as the jars, so just one thing to keep in mind when you’re looking for it in a Chinese market. after reading all posts, I wonder if posting a recipe for homemade doubanjiang is still on your agenda. As some are looking for wheat free (I guess gluten is the problem) bean paste, other live quite isolated from Chinese supply and I just like cooking from scratch. So, my plan was to start by growing broad beans and chili peppers, what I have accomplished this year while waiting for your recipe. Please help a German guy how lives only on his own grown food to expand his cuisine. There is a very good place located in Boston to shop chili bean sauces online: http://PosharpStore.com, which has a category of doubanjiang, containing about 30 doubanjiang. This site has three major brands: Dandan, Juancheng and Chuanxiangmei. In genral, Juancheng is a little bit drier, but all three brands have no big difference if you are not Sichuanese. If you want to be “green”, there are a few items in pouches. If you do not like spicy, Pixian should not be your choice. 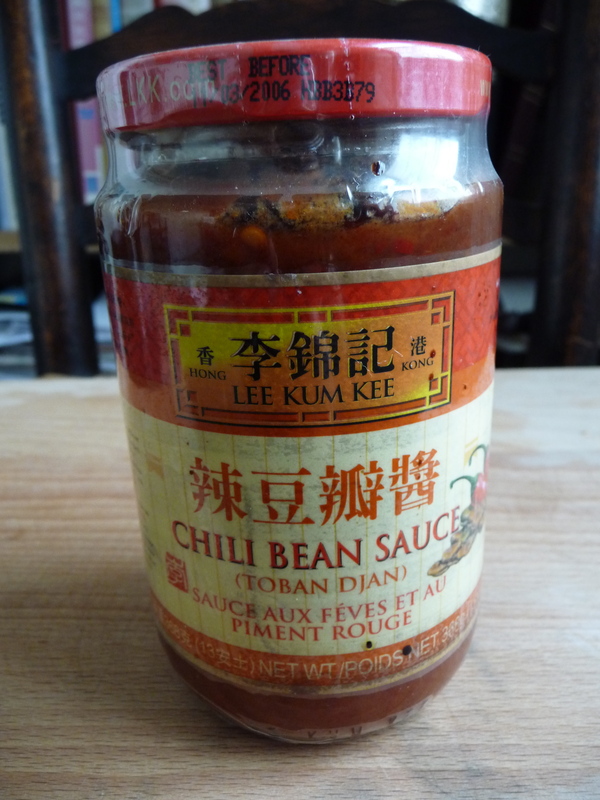 Today I went to New Cam Man & HK market to see if I can find some of these chili bean pastes. I obviously found the Lee Kum Kee stuff, but I agree with you all in the idea that I do not want all the chemicals and preservatives. I didn’t exactly find what I was looking for (what Fushiaa describes above), but I did find this “Youki Shisen Toban Jan” at HK mart. I bought it. The ingredients are chili, broad beans, and salt (a surprisingly low amount of salt.) I snatched it right up as it sounded and looked pretty close to what you described without the wheat flour I suppose. This looks like a korean product. My question is, will this give me the great hot pot, mapo tofu, dan dan noodle results? Thanks in advance to anyone who can answer this for me. Fushia, you’re amazing. Visiting Chengdu in the spring. Can’t wait! number 3 appear to be made in Chengdu. 1. 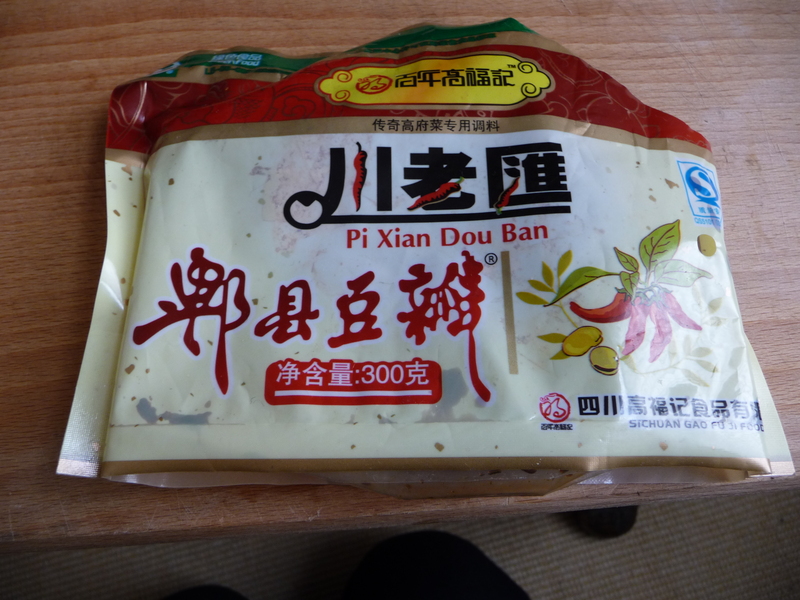 “Pixian Broad Bean Paste,” Dandan Condiment Co., Ltd.
2. “Pi Xian Dou Ban,” Sichuan Gao Fu Ji Food Co., Ltd.
4. “Pi Xian Broad Bean Sauce,” Chengdu Lion Pavilion Food Co., Ltd.
preferred version is too sweet. Can anyone help? Many thanks in advance. To supplement my post immediately above: went shopping again to pick up some odds and ends that I neglected to get the first time around and found yet one more Pixian dou ban jian. There is minimal English on the package but the ingredients clearly state broad beans. The brand appears to be Qiao Niang Fang and the distributor (?) 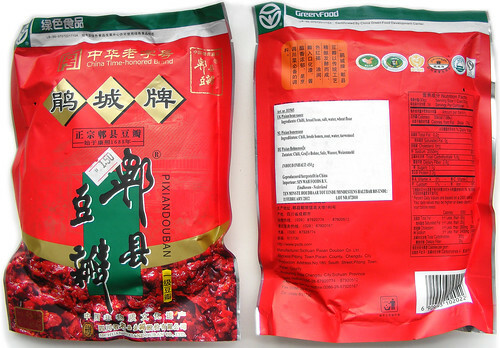 is Chengdu Chuanxiangmeifood Co., Ltd.
Could someone describe how best to store chili bean paste that comes in a pouch? I’m planning on putting it in a sterile jar, but should it be refrigerated? How long will it keep? Thank you! While living in Southern China and working for a Hunan ren I Regularly ate in Hunanese restaurants. One of the regular highlights of these episodes was stir-fried smoked tofu (not least as it is one of the few firms of tofu that I genuinely enjoy). The curd was tougher- almost rubbery and the same golden colour as creme caramel. Thanks to SF&SP I am gathering the confidence to add more of the dishes that I miss the most to my repertoire. I was hoping you could inform me where to buy smoked tofu or what type of virgin tofu I should begin with if I were to smoke my own and what aromatics I should use. I buy my smoked tofu from a wholefoods shop. It is sold, plastic-wrapped, in blocks that are exactly as you describe: a dark caramel on the outside, and with a dense, chewy texture that reminds me slightly of Edam cheese. I think it’s produced in Germany. If you want to smoke your own, I suggest you use firm, pressed tofu: if you can’t buy it, buy very fresh normal tofu, wrap it in clean muslin and press it with extremely heavy weights, or even a vise, to remove as much water as possible. Then smoke it over wood embers. I remember seeing it made this way in rural Hunan. I’m not sure what wood they used, but I think it must have been hot-smoking as the tofu was a couple of feet above the embers and covered with a lid, so the temperature would have been fairly high. Good luck! Hi – I’m afraid I’m another one looking for the elusive recipe for making chilli bean sauce at home. I’m a coeliac so none of the shop-bought recipes are an option. I have only been cooking chinese style-food for 3 months since I realised I can make my own sauces from scratch but this is the only one that eludes me! I have broad beans and chillies and did wonder about partially drying them in the oven (to acheive a sort of sun-dried flavour, based on the original stuff being left outside) then bix together with some oil. I wonder about adding yeast to kick start the fermentation process? Would ultimately have to heat it to “kill” it again and give it a decent shelf life, but I’m willing to experiment and report back. Anyone got any tips or suggestions? Has Lubo got to it before me? Hi all, just a quick update for any other Londoners out there. The See Woo Hing Supermarket on Lisle Street in London Chinatown were stocking the Sichuan Dan Dan Seasoning Co Ltd brand last year but I have not been able to find it for a while now (kicking myself that I didn’t stockpile whilst I had the chance)! Asked about it today and got the impression that it is not a reliable source. I guess think yourself lucky if you do manage to find it, and buy a few pots… but leave some for me! I was also buying the Dan Dan sauce from the See Woo Hung in Lisle Street and then noticed it vanish. Did notice something about it first. 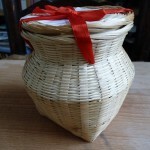 When I originally started buying it a few years ago the little wicker pot would have 2 plastic bags of sauce in it. The flavour and intensity was excellent. Thick and pasty, good deep colour and lots of chunks of broad/fava beans. Then the contents changed so you only got one bag, the paste was less thick and didn’t have such a good textur or flavour – still good compared to the salty Lee Kum Kee version though! A year or so later… Gone! Haven’t seen it again. When last in London I did find a few things in the See Woo Hung supermarket, but I found the Sichaun ya cai that Fuchsia recommends in another supermarket in Chinatown. It was upstairs. As for the Dan dan chilli bean, I haven’t seen it anywhere. I even asked my brother (now in Hong Kong) to ask his Chinese colleagues and no one recognised the picture except a woman from Sichuan. Couldn’t get it in HK at all. How about persuading them to sell it at Bar Shu??? I noticed that Fuchsia’s books are available, so couldn’t they make room for one or two of the more difficult ingredients? I studied at SHIC(四川烹饪高等专科学校). The best doubanjiang I’ve come across is from the above-mentioned village 郫县 (Pixian). For those of you serious about DBJ, I recommend using taobao (through a so-called taobao agent). Taobao is the Chinese eBay, and has everything. However, it’s nigh-on impossible for the casual foreigner in China to use. 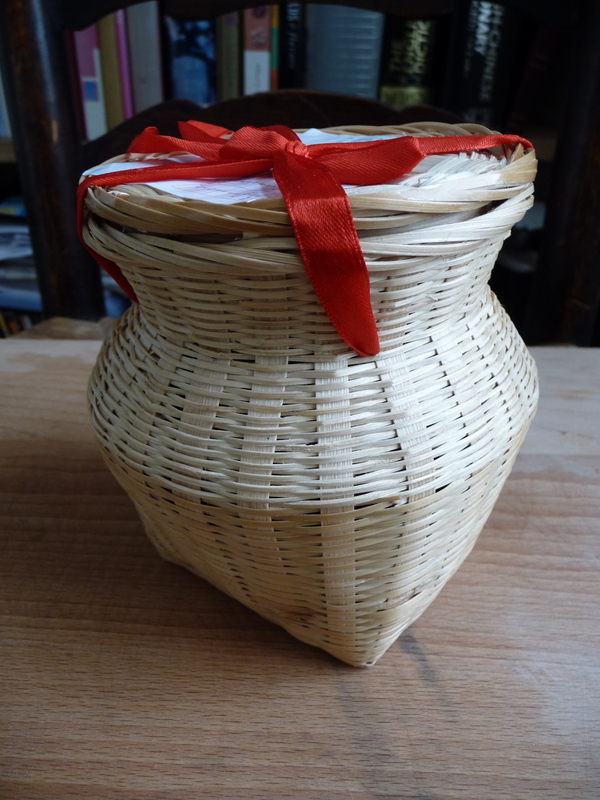 With an agent, they will buy the items and ship it to you abroad, for a relatively modest commission. Which is a top level 3-year fermented douban from Pixian. At 78元 for 500g, it’s a steal. It’s dark, dense and imparts so much doubaniness that you can get away with using much less, and consequently much less salt. It’s so deep and rich I’ve taken to adding it to everything that needs a resonant bass note of umami. It seriously smells as fermented as an imperial stout, but tastes like the best douban you’ve ever had. Oh! And while you’re on Taobao, pick up some Sichuan pepper from 汉源 (Hanyuan). When I left China, I brought several kilo of it with me. Taobao and that chili bean paste sound very tempting. Do they also sell fresher dried facing heaven chilis, fresh than the ones to be found in packages here in Nova Scotia? Also looking for seeds of them. Oh and Sichuan pickled chilis and……Certainly the site is unnavigatible. I’m in Los Angeles. Much of our San Gabriel Valley (east of Downtown LA) is a vast Chinese suburb. The communities of Monterey Park, San Gabriel, Alhambra, Rosemead, Temple City, and places further east like Hacienda Heights and Rowland Heights are essentially Chinese suburban towns in America. Even so, I’ve had a pickle of a time finding real Douban from Pixian County. We of course have the ubiquitous Lee Kum Kee brand, as well as several Los Angeles and Taiwan produced stuff. I finally tracked some down thanks to the help of the good people of the Los Angeles Chowhound board. Hong Kong Supermarket on San Gabriel Blvd and Las Tunas stocks the Juan Cheng brand, which comes is a pouch and is the deep red/purplish color. A 227 gram package costs $1.50. I just made a mapo tofu with it. I sauteed it to blood the flavor and the house exploded in an otherworldly fragrance. Spectacular stuff. Thanks, Mr. Taster, for posting the links/info. I hope to find the Juan Cheng brand PiXian DouBanJiang closer to SF Bay Area (near 94538). Will this product be good for Fish-Fragrant Shredded Pork (YuXiangRouSi)? Well, I’m absolutely no expert on Sichuanese cooking– you’d need to ask Ms. Dunlop about that. However, I have been to Sichuan (was in China for 2 months and my wife is Taiwanese, and I speak and read a smattering of Mandarin). I do have my favorite typical dishes that are available here… Yunnan Garden on Las Tunas in San Gabriel, despite the name, has extremely good Sichuanese food with a cold appetizer bar overloaded with selections during peak mealtimes. My favorite main dishes are pretty standard– wontons in chili oil, water boiled fish, chili oil fried chicken, etc. which I like to balance out with cooler dishes from the appetizer bar like celery in sesame oil, or shredded seaweed etc. I borrowed Fuchsia’s “Land Of Plenty” book from the LA Library and made her version of mapo tofu last night– after finally tracking down the dried fermented black beans– very hard to find, but finally tracked this down also at HK Supermarket mentioned above- lots of jarred/prepared versions, but they did have one version of the dried beans- Pearl River Bridge brand. Good lord– what a fantastic dish, with the Pixian douban and douchi infusing the peanut oil with their heady aroma. Great contract with the sweetness of the leeks loaded up into the dish at the end. There’s a slightly vague recipe for making your own chili bean paste at http://www.cookingschoolinchina.com/chili_bean_paste_recipe.html. I haven’t tried it but would love to hear details from anyone who does. Every year my brother brings me sichuan peppercorns from China for Christmas. Infinitely better than anything I can buy here. The first job of the year is to make as much chill / peppercorn oil as I can. The flavour lasts much longer in oil than it does in the peppercorns; enough to keep hotpots suitably lethal until the next Christmas. As I go to Nova Scotia every summer, I would be very curious for more information on both the Chinese grocer (I assume in Halifax) that sells the Sichuan chiles and the restaurant your chef friend who brought back the peppercorns from Chengdu cooks at, assuming it is a Sichuan restaurant. Thanks! In Manhattan I found Dan Dan Condiment Co. Ltd’s version at Hong Kong Supermarket (Hester & Elizabeth in Chinatown). It lacks the attractive straw container, instead in a plastic bin featuring a red & off-white label with a young Asian woman giving a ‘thumbs up’. It does contain MSG, which I’m not opposed to, but does differ from Fuchsia’s description above. The Flushing location supposedly carries this brand as well, but I have not verified this. ingredients: salt, chillies, beans, flour, potassium sorbate. Jeff – Sorry for the extreme delay. The Sichuan restaurant is Jincheng at 1569 Dresden Row in Hfx. The cook is Zou. All the stores seem to carry the best chili bean paste – paper wrapper and tied with string though careful as there is an inferior imposter about too and packaging is close. hey all – i think i saw it mentioned way above but in the states posharpstore.com has just about everything you need to make many of the recipes in fuchsia’s amazing books. big selection of pixian chili bean pastes. even have ya cai which is even tougher to find in the states! Thank you! I am psyched to eat at Jincheng the next time I’m in Halifax and to cook Sichuan the next time I’m in Cape Breton. Thanks! 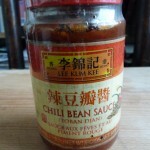 I am a bit confused about which spicy bean sauce to use for Fuchsias mapo tofu and shui zhu niu rou . I understand “pixian” is the one to go for. I have been using har har pickle hot bean sauce (this one: http://posharpstore.com/en-us/har-har-hot-soy-bean-sauce-1lb-p1456.aspx) until now because it’s relatively easy to get here in austria. now I’m not sure – is this the same type of sauce, or something completely different? and if it is somehting else altogether, what should I use it for? I would be most grateful for any clarification! Still curious if someone has found a wheat-free alternative… Lao Gan Ma is the closest we’ve gotten, but its not the “real thing” – tastes pretty good but needs adjustment.